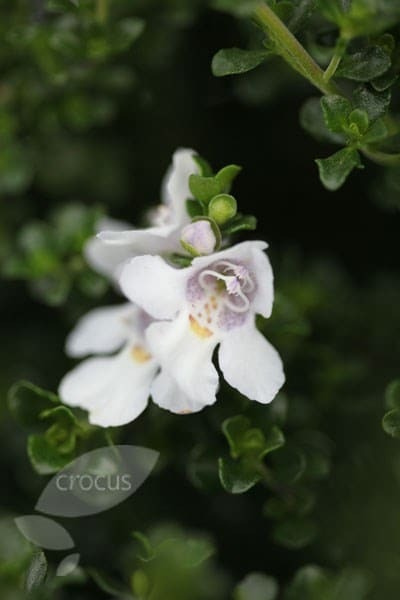 Buy Prostanthera cuneata alpine mint bush: Small evergreen with aromatic leaves and white flowers. An Australian native, this is a compact, aromatic, evergreen shrub with small, lustrous rounded leaves. From June to August, clusters of tubular, pure white flowers with distinctive purple and yellow markings appear. It is ideal for a sheltered, sunny, mixed or shrub border and looks particularly good among silver-leaved plants or strappy Phormiums. Garden care: After flowering lightly trim or prune any shoot that spoil the symmetry of the plant. After pruning apply a generous 5-7cm (2-3inch) mulch of well-rotted garden compost or manure around the base of the plant. I have planted this in a client's garden and in my own,happily faced the Beast from the East and survived to -10. 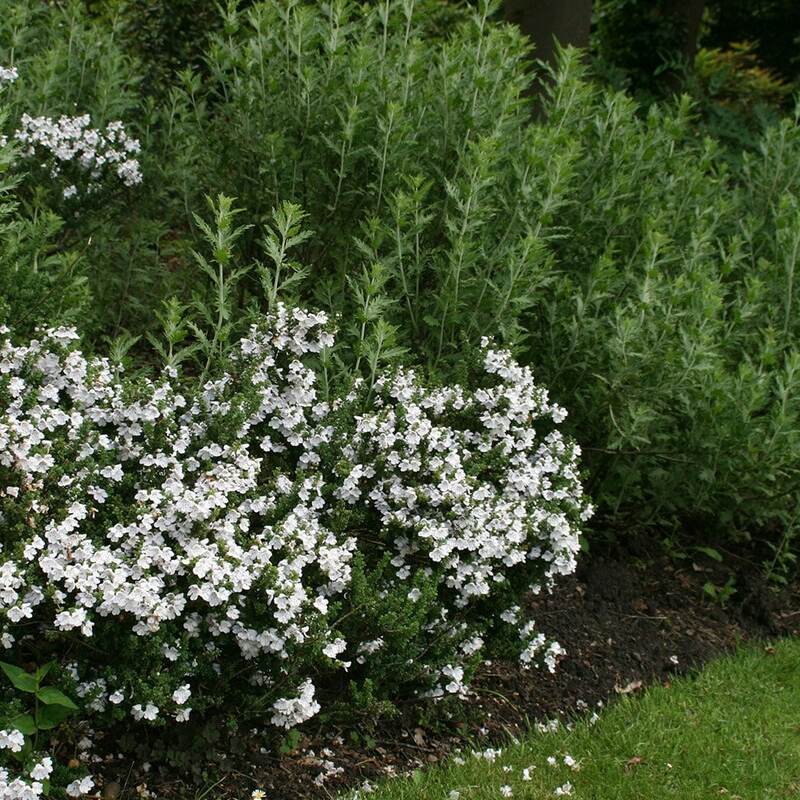 It is now (early June) covered in dainty white flowers, that contrast well with its rich green foliage. A compact evergreen for winter interest too. This plant arrived in immaculate condition, very healthy and a great size.